Are you suffering from registry anxiety?! 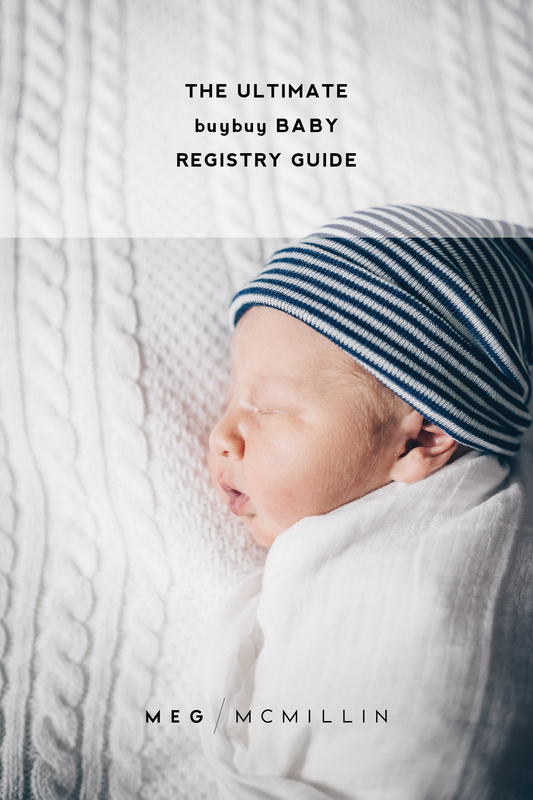 Start with the buybuy Baby registry checklist and/or schedule an appointment with a BBB registry consultant! Per a friend’s suggestion, I started by printing out the buybuy Baby registry checklist. And I’m not just saying that because I am partnering with them. I genuinely did that, and I swear it was a lifesaver. Their checklist is the perfect place to start. I was advised to “take it seriously but not literally” and to keep in mind that I would not need EVERYTHING on there, but pretty much everything I needed WAS on there. Get what I’m saying?! 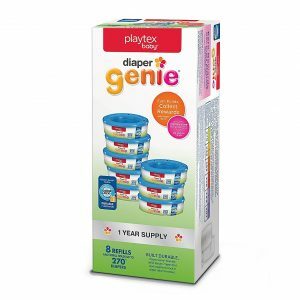 You don’t necessarily NEED a baby food maker but you may want one, but you do NEED a diaper genie. The BBB checklist is the perfect mix of both. 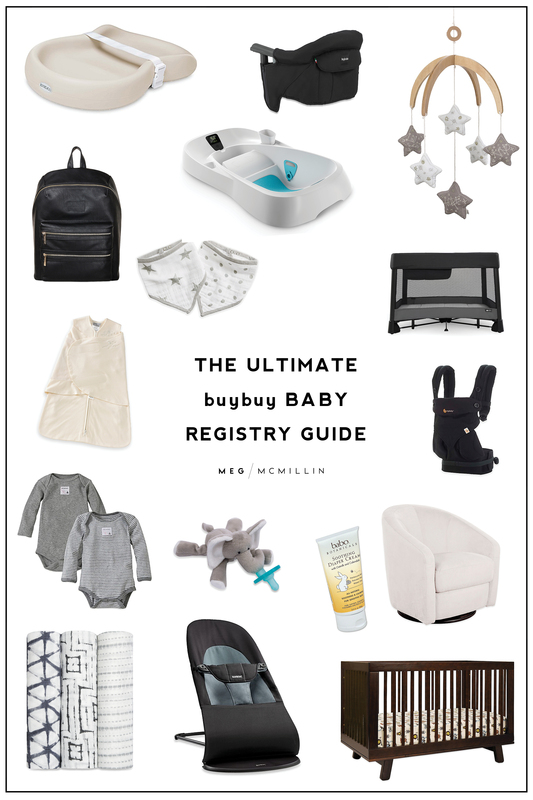 Also, buybuy Baby has expert registry consultants who are available to assist in-store via personal appointments! Which is very rare. Their knowledgeable associates are available and ready to provide additional guidance and advice to new and expecting parents. They are total lifesavers if you are feeling overwhelmed by this whole process! Yep. That’s gigantic James in mah belly. You will end up with so much unnecessary stuff if you do this! 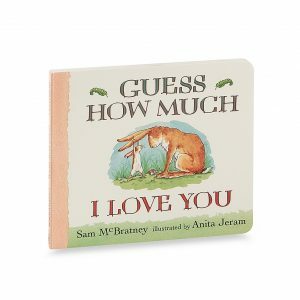 And it will add to your nesting craziness. You need a strategy. 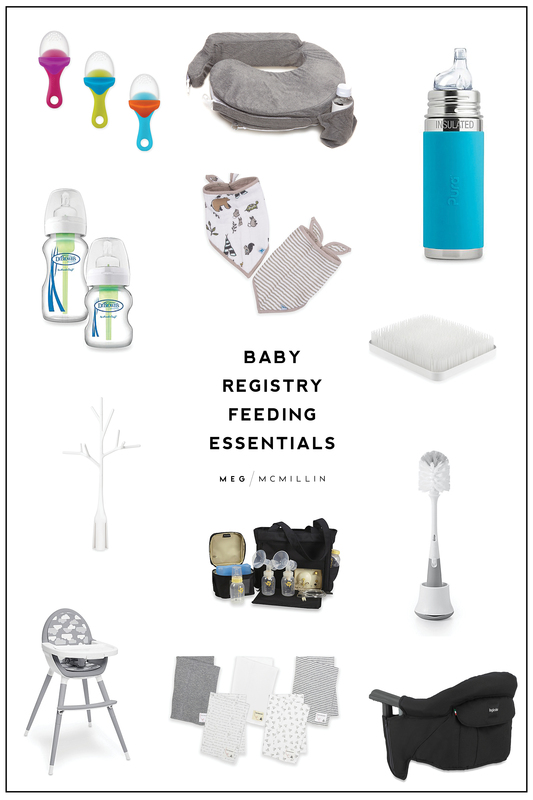 Just randomly adding things to your registry and hoping for the best will result in a lot of stressful returns down the road! I had a friend register for 3 different baby carriers because she didn’t feel like making a decision about which one she wanted (just go with the Ergo Baby) and figured she could just decide later, but stuff gets hectic later. You don’t want to end up leaving your baby shower with 3 of the same thing. My strategy was simple: take it one category at a time, then one item at a time, then do a little research on the items you want. Start with a category – i.e. 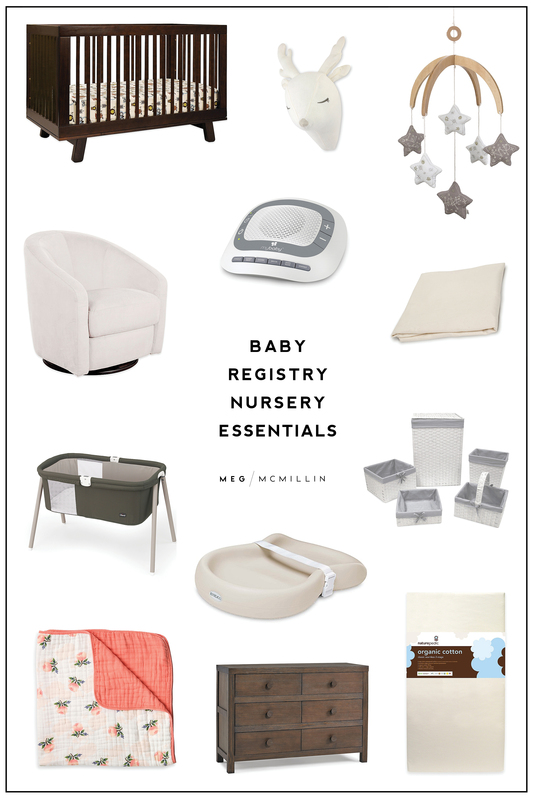 “nursery & decor” – then go down the checklist and assess which items you for sure want, which items you for sure do not want, and which you are unsure of. Next, pick an item within that category that you know you need – i.e. 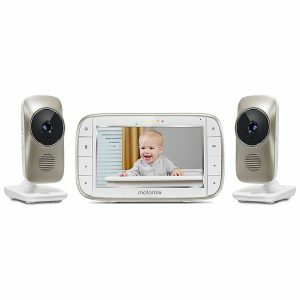 crib – and Google “cribs” and see what falls within your budget and style preference. The “making a decision part” sounds hard but once you get started and see what’s out there, you’ll have an easier time than you might think. Good news, I’ve done a ton of the research already! You are probably rolling your eyes at me as I mention the word RESEARCH, and you might be thinking “that is exactly what is stressing me out!!”. And, I get it. But first of all, I promise that once you get started you’ll notice there aren’t quite as many choices as you might think. And secondly, I’ve already done a bunch of the research for you! And that’s why I’m writing this post. Thirdly, put those boring weekend-pregnancy-nights-in to good use and have some fun with picking this stuff out! I liked it more than I thought I would. And that’s coming from someone who was super grumpy while pregnant. My whole heart. James Donald McMillin born on August 20th, 2016 at 8 lbs 16 oz! 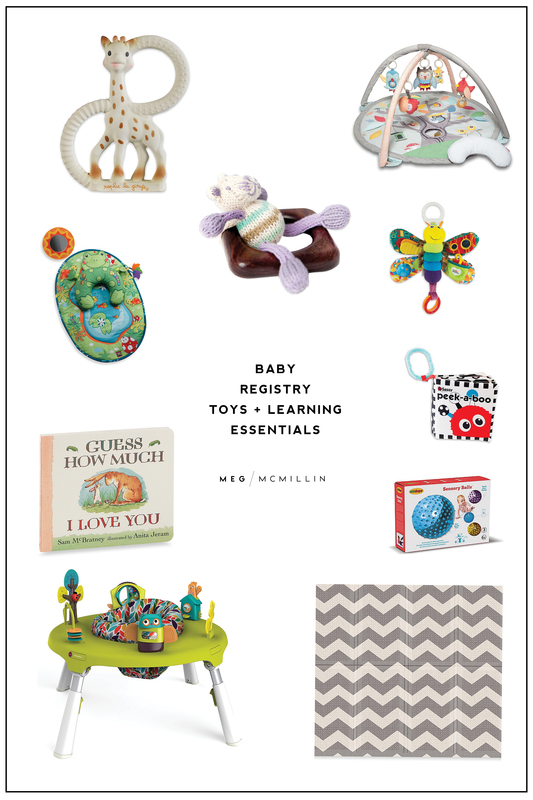 I’m going to go through each category on the BBB checklist and only list the items that I personally registered for and loved, or in hindsight wish I DID register for! I’ll try to make this as simple as humanly possible for you mamas. Good luck! 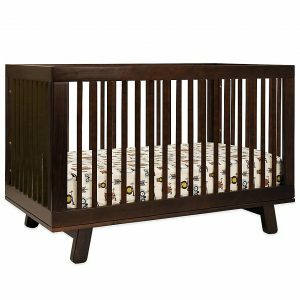 We have the Babyletto Hudson 3-in-1 Convertible Crib in Espresso and absolutely love it. 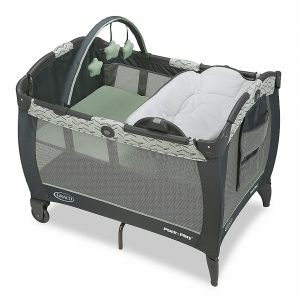 There are a ton of different cribs out there, I chose this one because of the simple design + awesome price point. The Babyletto Hudson 3-in-1 Convertible Crib in Espresso | See more of James’ nursery tour here! I did a lot of mattress research. A ton. Like every mom, I was terrified of SIDS and James breathing in toxic chemicals while sleeping. 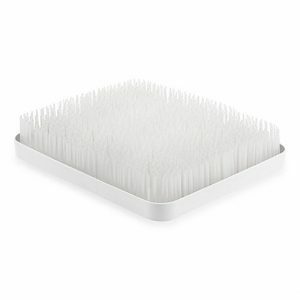 We went with the organic Naturepedic Classic 150 Seamless 2 Stage Crib Mattress because it was recommended on Gimme The Good Stuff (my non-toxic bible). You don’t need more than 2 of these. 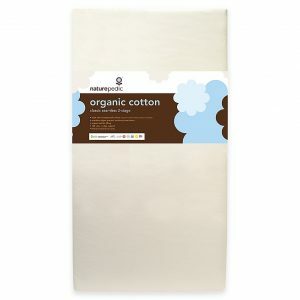 I chose the organic Naturepedic® Waterproof Fitted Crib Pad Cover as well. Once I find a brand that I trust for one item, it makes it easy to make decisions for other items. 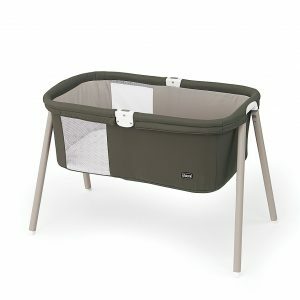 I went with Naturpedic brand for everything inside James’ crib! I didn’t do a patterned/fancy sheet because I like everything plain and neutral. 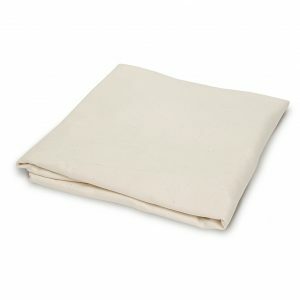 I went with the Naturpedic® Fitted Flannel Crib Sheet in Ivory because they are organic and totally non-toxic! 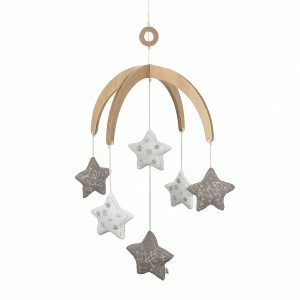 They didn’t have the ED Ellen DeGeneres Starry Night Ceiling Mobile when I registered, but if they did I totally would have gotten this! So cute. Slow clap, Ellen. So, I found James’ dresser – that I use as a changing table – on Craigslist for $35 and DIY’ed it (you can check it out in James’ nursery tour). But, BBB has SO many cute dressers. 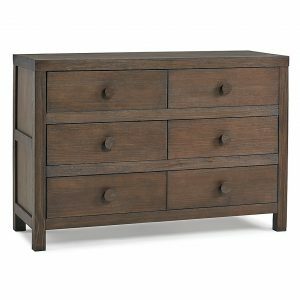 Loving this Ti Amo Castello Double Dresser in Weathered Brown, very West Elm-ish! Drawer organizers are a MUST! Babies have so many LITTLE things. 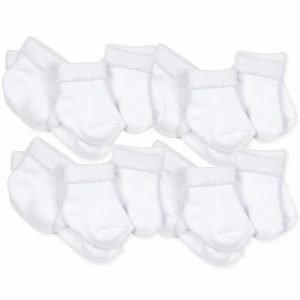 Little socks, mittens, hygiene items, etc. Trust me, you’ll want to keep it organized and not have a giant drawer of a million floating baby items. 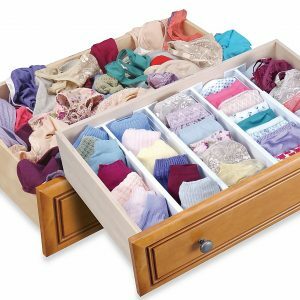 These Dream Drawer™ Expandable Spring Loaded Drawer Dividers are great! Okay. One of my biggest registry regrets was not getting the Keekaroo® Peanut Changer. Don’t ask questions. Just register for this. James’ room is pretty small, so finding a glider that was cute, affordable, space friendly, AND comfortable, was tough! 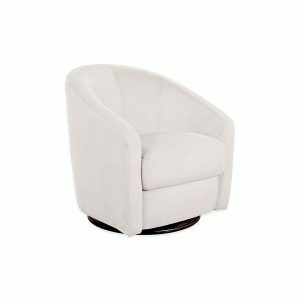 We went with the Babyletto Madison Swivel Glider in Ecru Microsuede and love it. It looks white, but it’s cream! It is very comfortable but I wouldn’t consider it “sleeping” friendly because you can’t really lean your neck back. However, I nursed James for 15 months and did not have a problem with this glider! Plus it is super cute and modern looking. 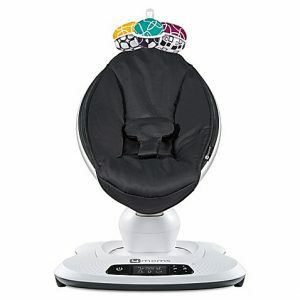 If you want something you can snooze in, maybe go with the Babyletto Kiwi Swivel Electronic Recliner! Storage is tricky to recommend because everyone’s nursery is different. 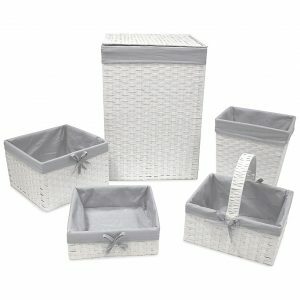 I suggest registering for a set like the Redmon 5-Piece Hamper Set with Grey Liners in White – that way you’re covering all bases: hamper, diaper caddy, and a couple bins for miscellaneous storage. 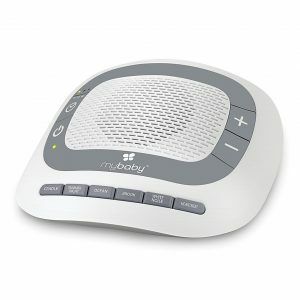 For $20, you cannot beat the HoMedics® MyBaby Portable SoundSpa! That is what I registered for 2 years ago and we still use the same one. Can be plugged into the wall or cordless/battery operated. It’s the best! Don’t break the bank on a fancy sound machine. I recommend registering for at least one “fancy” blanket that you will be excited about displaying on the side of the crib! 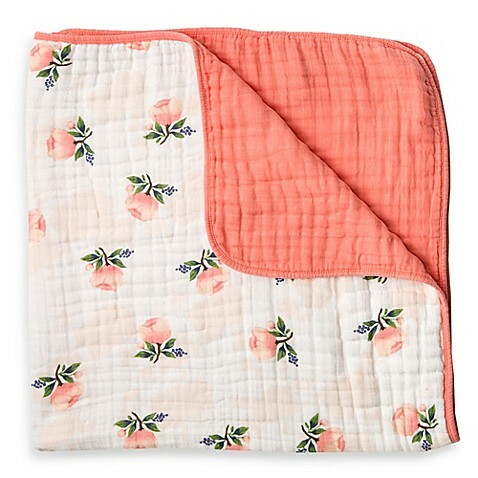 These Little Unicorn Watercolor Rose Cotton Muslin Quilts are super soft AND very Instagrammable. 🙂 Obviously, I didn’t get the floral print for James but it’s SO cute and I couldn’t help posting that one! There are a ton of boy-friendly options too. 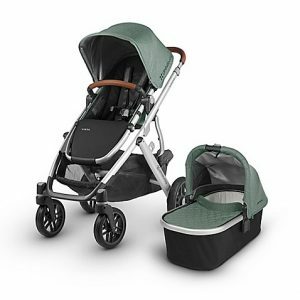 We used a hand-me-down bassinet but I have heard great things about the Chicco® LullaGo™ Portable Bassinet – and the price is totally within reason. 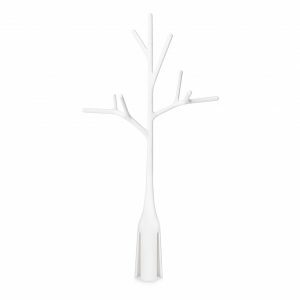 If money grew on trees I would go with the Stokke® Home™ Cradle in White but, it is the price of a freaking crib! I do love the Stokke brand SO much though. Please trust. You do not need 100 swaddles. We didn’t even swaddle James in actual swaddle blankets for sleeping (we used a sleep sack immediately), we just used swaddles for blankets, a carseat cover, nursing cover, etc. 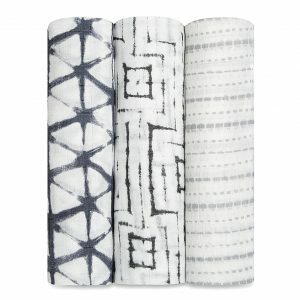 I got the aden + anais® 3-Pack Swaddles, I recommend getting the super soft bamboo ones. They are so much softer than the muslin! We actually used the crap out of the no-scratch mittens we got. James scratched himself constantly! 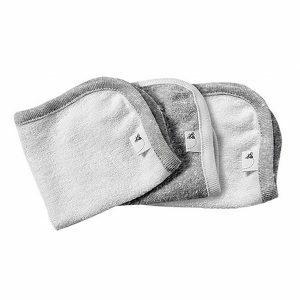 I recommend the Burt’s Bees Baby® 3-Pack Mitts in White/Grey. These are the BEST! 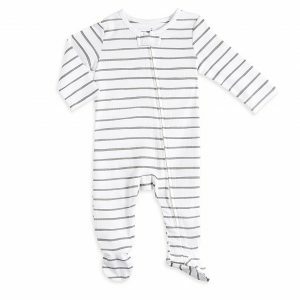 Burt’s Bees Baby® Quilted Kimono Coverall in Grey – by the way, I highly prefer Burt’s Bees over Carter’s for when they are newborns! 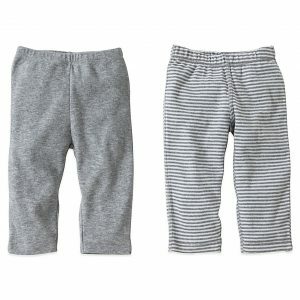 Love these Burt’s Bees Baby® 2-Pack Organic Cotton Footless Pant in Grey Solid/Stripe! James wore so many hats. 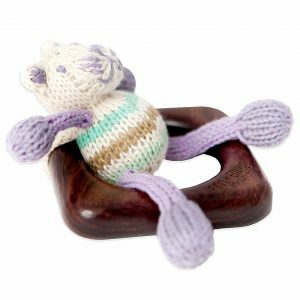 I love these Kyte BABY Knotted Cap in Clay and recommend registering for a few of them! 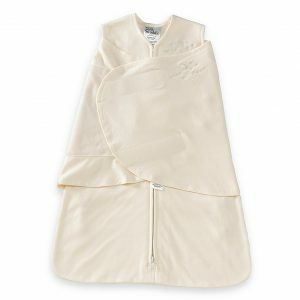 I recommend this HALO® SleepSack® Newborn Organic Cotton Swaddle for the first few months. It offers the option to swaddle their arms in, and you can also use it with their arms un-swaddled. 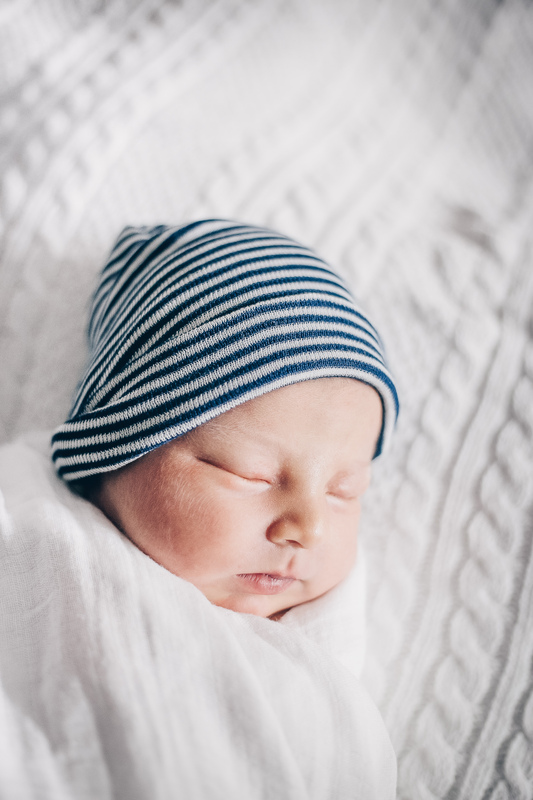 Per our pediatrician’s instructions, we stopped swaddling James arms in when he was 2 months! 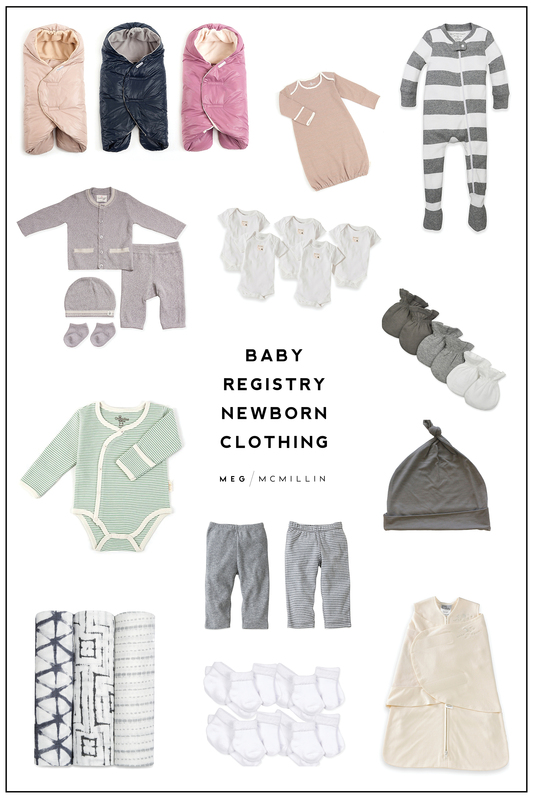 I recommend registering for some – but not a TON of – seasonal clothing/items. 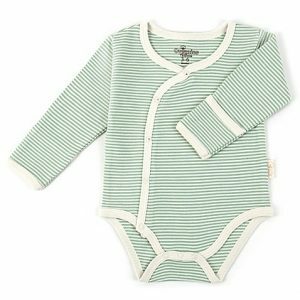 Depending on where you live and when your little one is born, you’ll want a few things on hand when the weather starts to change. Just be sure to size it appropriately! 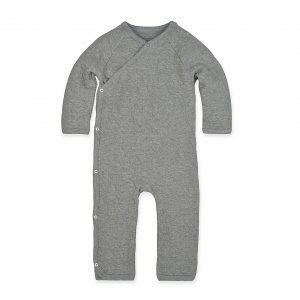 For example, James was born August 20th, so I registered for a size 6M winter coat! 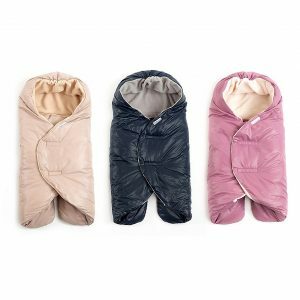 This 7 A.M.® Enfant Quilted Nido is so awesome for cold weather! Picking a stroller was way more stressful than it needed to be. Do not let this be the bane of your existence. It is just a stroller after all! We ended up getting a lightly used Stokke® Xplory® off of Craigslist and we absolutely LOVE it. 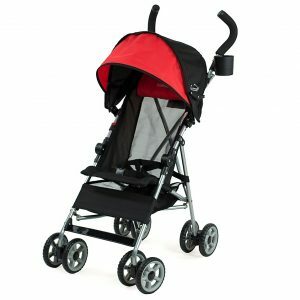 Here is why: it rides so smoothly, it’s super easy to use, it’s higher than other strollers, and overall just very unique + extremely well made. We live in the city and use it practically every day. However, I do want to keep it real and forewarn you that a NEW one is basically the price of a used car. 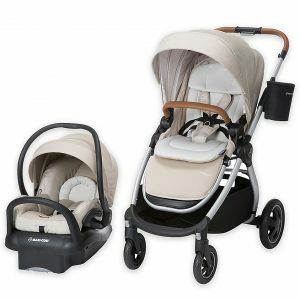 If you live in the city and you walk more than you drive, maybe consider splurging for an UPPAbaby® VISTA or a Stokke. 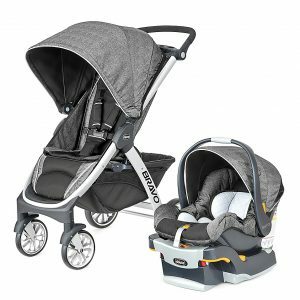 But, if you don’t see yourself using your stroller 24/7, just go with something less expensive like the Maxi-Cosi® Adorra Stroller, or the Chicco® Bravo® Trio Travel System. 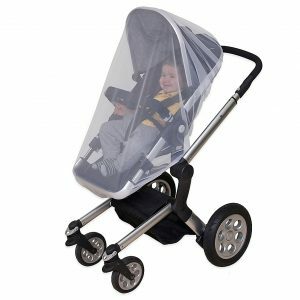 Most strollers will come with a plastic cover and/or netting, but be sure to double check! 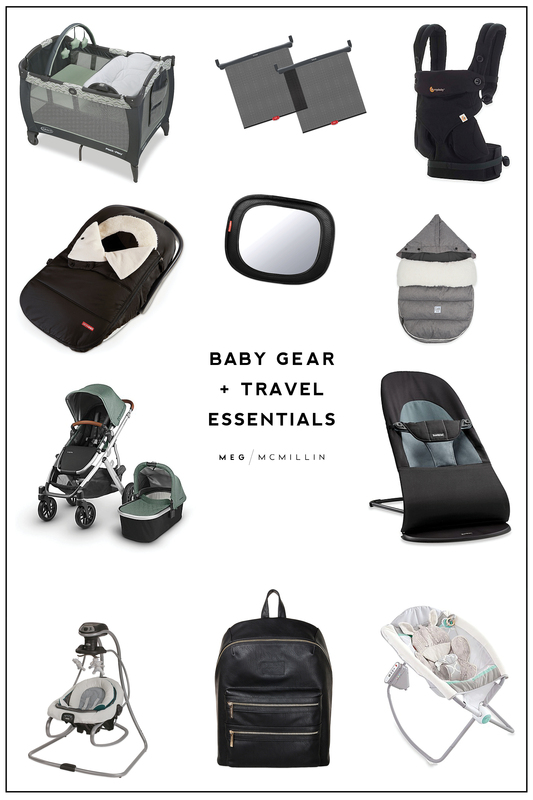 If the stroller you are getting doesn’t include these items, register for them separately. We used both CONSTANTLY! The netting is for warm weather (sun protection, bugs, etc.) 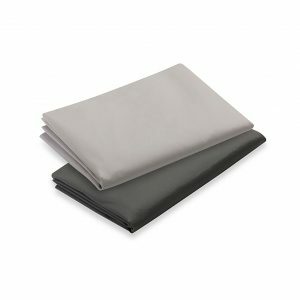 and the plastic cover for cold weather (rain, wind protection, winter temps, etc.). 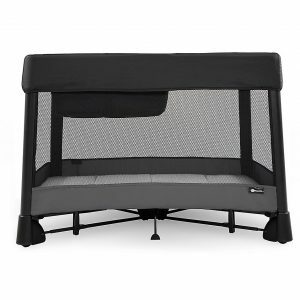 Go with the Jolly Jumper® Solar Safe Playard Net and phil&teds® Smart Stroller V3 Storm Cover. 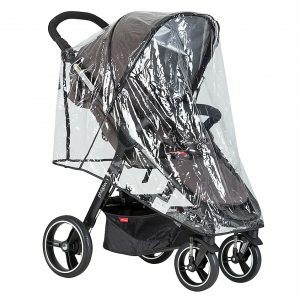 Register for a cheap umbrella stroller like the Kolcraft® Cloud Umbrella Stroller. They are so great for travel and short walks! This is a must if you live in a cold weather state. 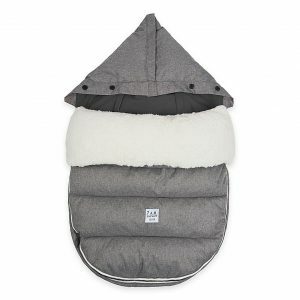 I recommend the 7 A.M.® Enfant LambPOD Footmuff Cover with Base! 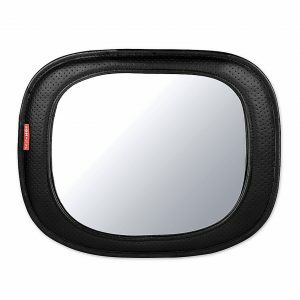 I highly recommend going into buybuy Baby and talking with one of their car seat technicians! They are so knowledgable + helpful. You will want to make sure your infant car seat is either compatible with your stroller, or is able to be with an adaptor. 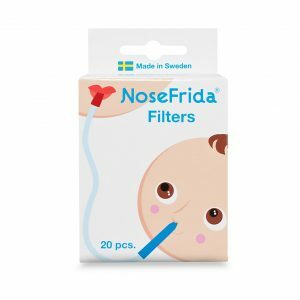 Such a must for sleeping newborns! 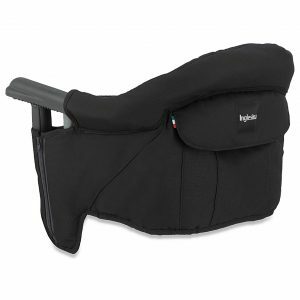 We splurged and got the Stokke® PIPA™ by Nuna® Infant Car Seat because it is designed to snap right into the Stokke Xplory frame (meaning we didn’t have to bother with an adaptor). 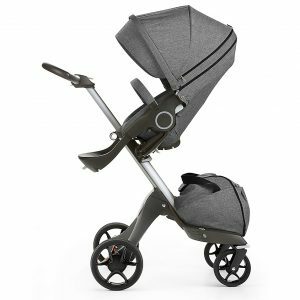 The UPPAbaby® MESA Infant Car Seat is directly compatible with the Vista stroller but I’ve actually heard that the Mesa is pretty heavy. 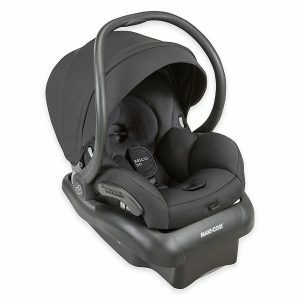 Friends of mine who have the UPPAbaby Vista stroller recommend using a Maxi-Cosi® Mico 30 Infant Car Seat (a whole 2 lbs LIGHTER than the Mesa) or a Nuna Pipa infant carseat instead of the Mesa! 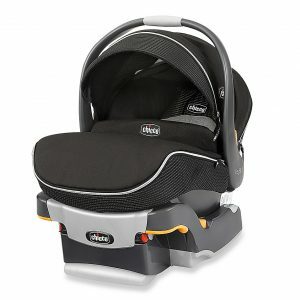 Also, I have heard great things about the Chicco® KeyFit® 30 Zip Infant Car Seat – but FYI it is heavier than the Mesa. Another must if you live in a cold weather state! 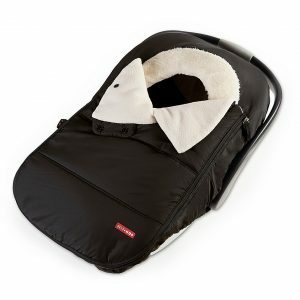 Go with the SKIP*HOP® Stroll & Go Universal Car Seat Cover in Black! 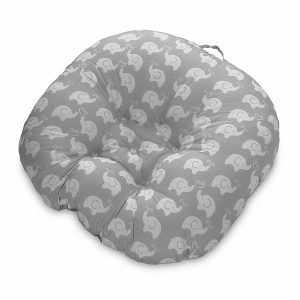 We used the Boppy Newborn Lounger ALL the time. It’s perfect for being able to plop your baby down on the couch, your bed, the floor, etc. When they are newborns they can’t roll off, so it’s totally safe! 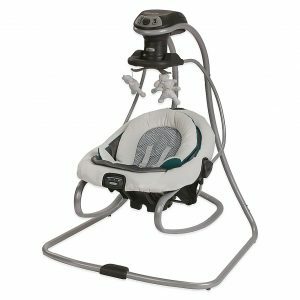 I really wanted to register for the 4moms® Breeze Plus Playard but we ended up going for the less expensive Graco® Pack ‘n Play® Playard with Reversible Napper and Changer and it’s great. Honestly, we barely use it, so I don’t even have a real review. 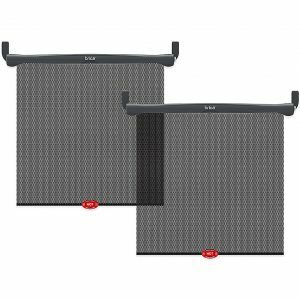 If you travel a lot, and/or have a reason why you would use a pack n’ play often, then splurge for the 4moms, if not, go with the Graco! 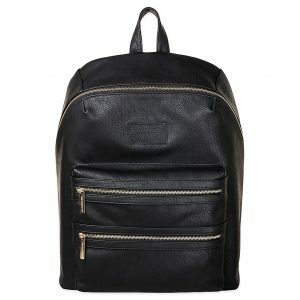 We have the Honest City Backpack Diaper Bag in Black and Kyle + myself both love it. 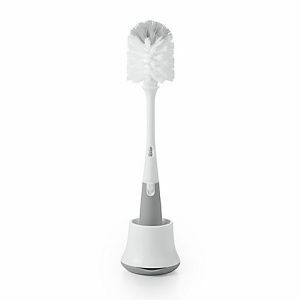 It’s $150 which is kind of ridiculous but it holds up REALLY well, and we use it every single day. So, in my opinion it’s worth the price! We have the Baby Bjorn carrier, and it’s fine, but honestly I wish we had gone with the Ergobaby™ Four-Position 360 Baby Carrier instead! The Baby Bjorn has very little back support and pretty much all of my friends have the Ergobaby and would rave about it all the time. We stopped using the carrier altogether when James was around 12-14 months, so not the end of the world! 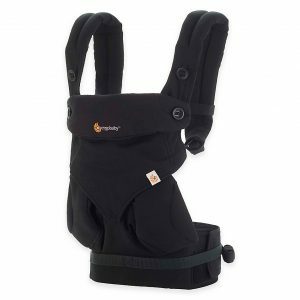 The BABYBJORN® Bouncer Balance Soft is very high on my list of baby products I’m obsessed with! I swear it is how I showered, cooked, folded laundry, went to the bathroom, etc. when James was super little. I brought it with me (with him in it lol) into every room! 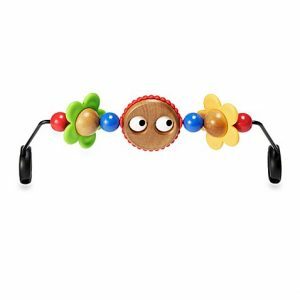 Be sure to register for the BABYBJORN® Wooden Toy Bar too, it keeps them occupied! You do not need all 3 of these! They all do the same thing: lull your baby to sleep. James wasn’t all that into his swing or the rock n’ play. However, most of our friend’s babies loved one or the other. Pretty much all of my mom friends swore by the Fisher-Price® Deluxe Newborn Auto Rock ‘n Play™ Sleeper! 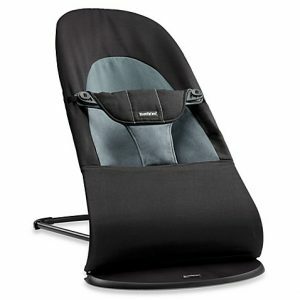 We did not try the 4moms® mamaRoo® but I know of babies who both loved and didn’t love it. 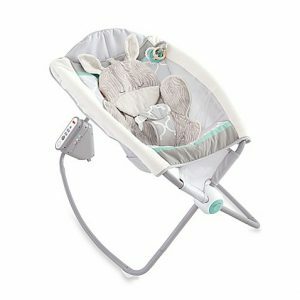 I spent SO much time picking out a swing – we went with the Graco® DuetSoothe™ Swing and Rocker – and ended up keeping it at my parents house because James wasn’t all that into it. So just remember that all babies are different, don’t stress yourself out making these decisions! 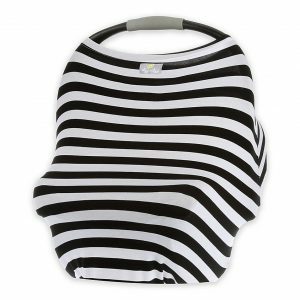 The Itzy Ritzy® Mom Boss™ Multi-Use Cover is awesome. 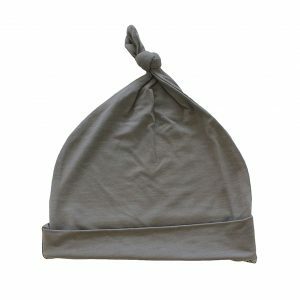 You can use it as a carseat cover, nursing cover, or a shopping cart cover! Okay, originally I registered for the Ubbi pail but a few friends had told me they actually returned it and went for the Playtex Diaper Genie instead. So, we have the Diaper Genie and it works great. 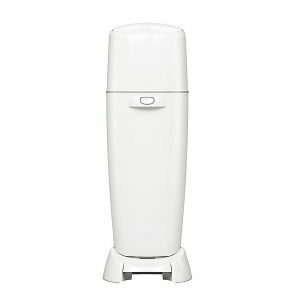 My brilliant mom friend (Ahem, Kate) told me to register for the 8-Count of Diaper Genie refill bags and we were SO glad I did! It was so nice to have back ups the first time we ran out. 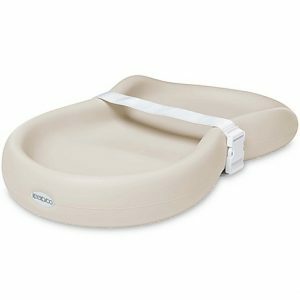 We love the 4moms® Infant Bath Tub™ and we used it until James was like 7-8 months old. Basically until his chubby little rolls were literally busting through the sides. 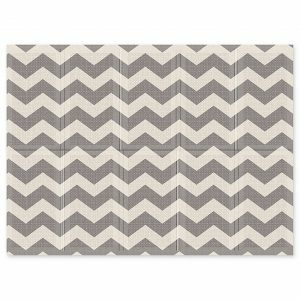 I recommend the Burt’s Bees Baby® 3-Pack Organic Cotton Washcloths, they are super soft. Register for a few packs! 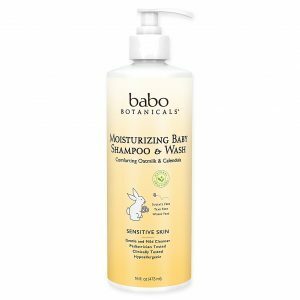 I love ALL Babo Botanicals products! I did a ton of research about safe creams + soaps for babies and this was at the top of every list. Their sunscreen is safe + non-toxic, I swear by their diaper cream (James has never had a rash), and the Babo Botanicals® 16 oz. 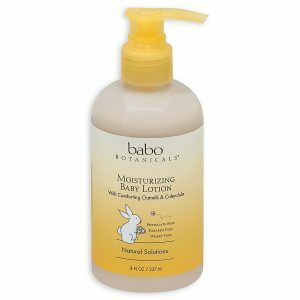 Moisturizing Baby Shampoo & Wash and Moisturizing Baby Lotion is fantastic. We have been using all these products since James has been born. See above! 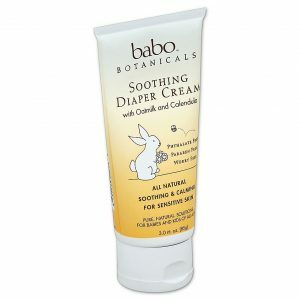 🙂 Like the soap + lotion, Babo Botanicals Soothing Diaper Cream is also a top rec of mine! 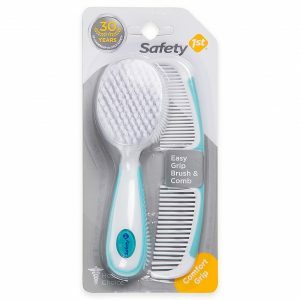 Totally safe + non-toxic (unlike many others) and works wonders. I don’t recommend going crazy on bath accessories right away, you need very little for the first year! 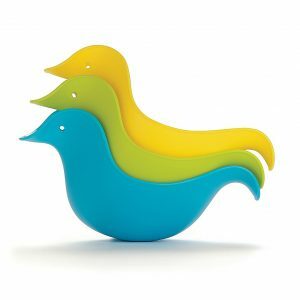 Get a couple rinse cups though, we have the SKIP*HOP® Bath Toy Duck Rinse Cups. YOU need this, trust me! 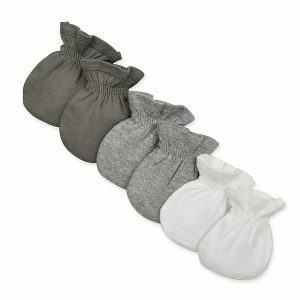 Your knees will thank you once your baby starts taking baths in the actual tub (between 6-8 months). 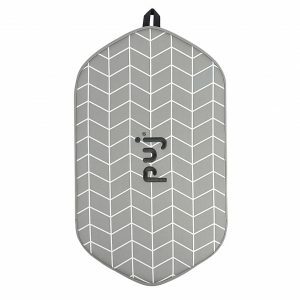 Go with the Puj® Pad Bath Kneeler! We used the hooded towels all the time when James was a newborn, but we started using regular towels pretty soon after. So, I don’t recommend going crazy on the hooded towels! 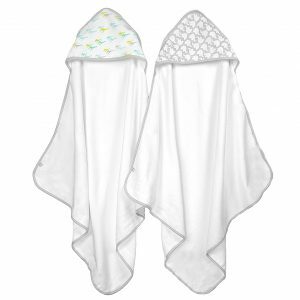 A 2-pack of Just Bath™ by Just Born® Hooded Towels will suffice! 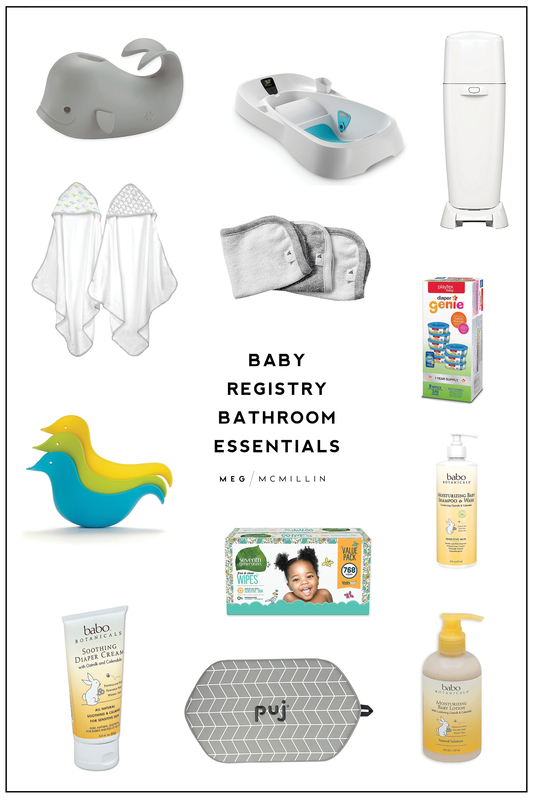 You won’t need this until much later, but register for it anyway so you have it on hand once your little one is ready for bathtub baths! 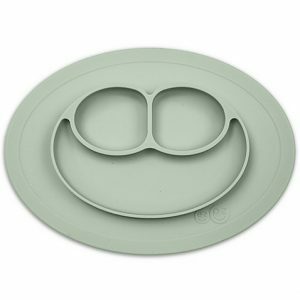 The SKIP*HOP® Moby™ Bath Spout Cover in is awesome and makes everything nice and safe once they become more active/mobile in the tub. 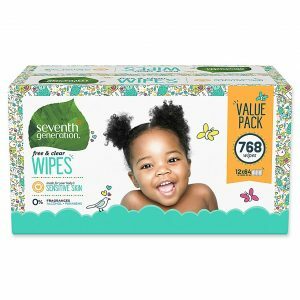 Register for 2-3 boxes of Seventh Generation™ 768-Count Free & Clear Wipes and you will be SO happy you did. Running out of wipes is the WORST! 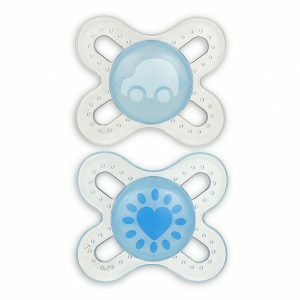 We love these wipes because they are non-toxic and the work really well. The spit up gets REAL around 3 months. 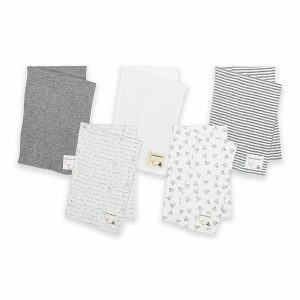 Be prepared and register for a couple packs of Burt’s Bees Baby® 5-Pack Organic Cotton Burp Cloths! 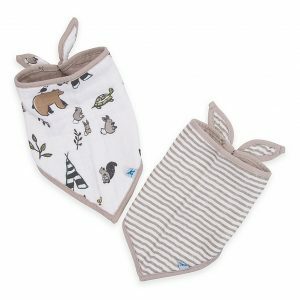 Registry regret alert: I didn’t register for cute bandana bibs and I wish I had! As previously mentioned, the spit up is intense, and bibs will become a part of their outfit. Trust me! So, have some fun and pick out a few packs of cute ones. You will want to carry back ups with you at all times! 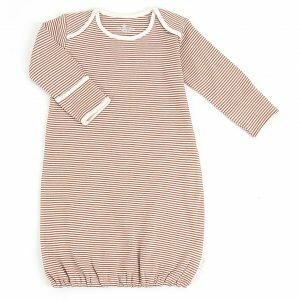 I love any by Hudson Baby, Little Unicorn, or Aden & Anais! These are A MUST. James still uses them and he’s almost two. 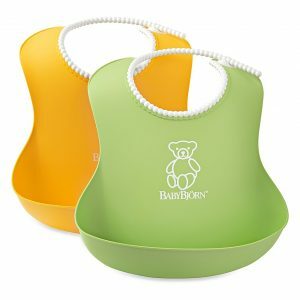 Get the BABYBJORN® Soft Bib 2-Pack! 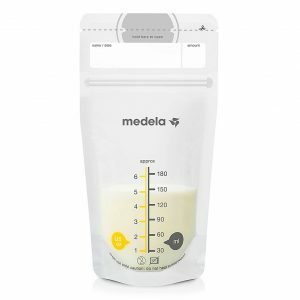 I know not everyone ends up nursing, but for the sake of making this easy for everyone, I’m going to include all of my breastfeeding product recommendations. (I ended up nursing James for 15 months.) 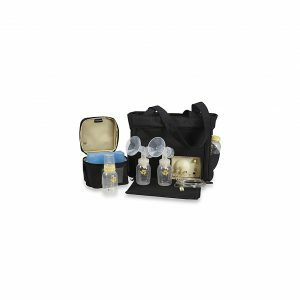 I got my Medela® Pump in Style® Advanced Double Electric Breastpump for free through my insurance company, but if you can’t, register for it! 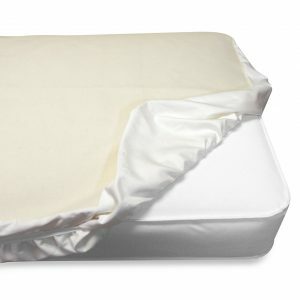 I used the My Brest Friend® Deluxe Nursing Pillow and loved it! I spent WAY too much time researching bottles. And the ones I ended up getting didn’t work for James because he had gas problems so we had to go out and buy Dr. Brown’s 2-Pack Wide-Neck Glass Bottle and they were wonderful. Unlike some people might say, the extra piece is NOT a hassle to clean. 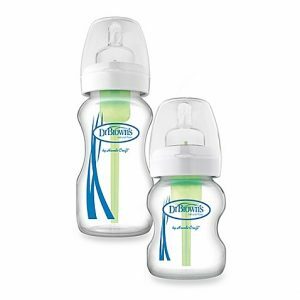 So, I recommend just going with these bottles from the get-go because they really do reduce gas + spit up! We don’t even use bottles anymore and we STILL use our Boon Lawn Countertop Drying Rack and Boon Twig! I don’t think you need to go crazy registering for toddler products, but there are a few I would get right off the bat just so you have them when you’re ready. 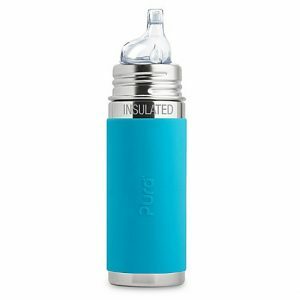 The Pura Kiki Stainless Steel Sippy Cups fall in that category! Get both. 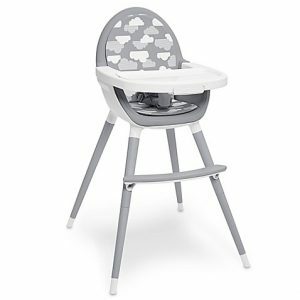 I feed James lunch every day at the counter in his Inglesina Fast Table Highchair while I unload the dishwasher/clean the kitchen/etc. and every night he eats dinner with us at the table in a regular highchair. Now, we ended up getting a cheap-y highchair from IKEA and it’s only meh. 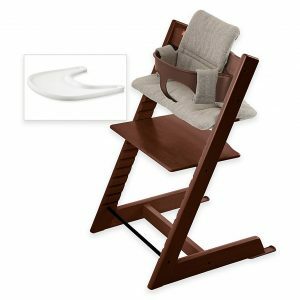 I honestly kind of wish we splurged and got the Stokke Tripp Trapp, because we have a small space and I LOVE the design, but I couldn’t convince Kyle on the price! My friend Katelyn has the Boon Flair Pneumatic Pedestal High Chair and loves it. 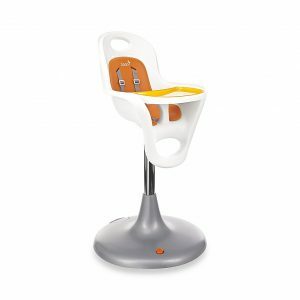 And, I have also heard good things about the SKIP*HOP® Tuo Convertible High Chair. 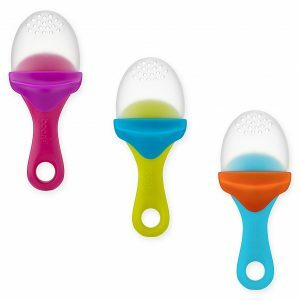 I swear by these Boon PULP Silicone Teething Feeders! This is how we introduced James to food. Instead of purees, I would mash banana, baked sweet potatoes, avocado, etc. into these silicone feeders and bring them with us everywhere! 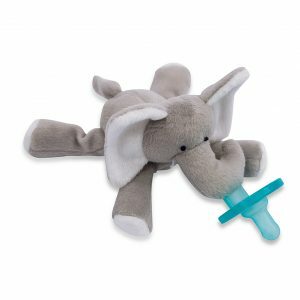 James didn’t take a pacifier, but he still loved to cuddle/nibble on his Wubba Nub! I recommend registering for those along with a pack of MAM Start Newborn Orthodontic Pacifiers. 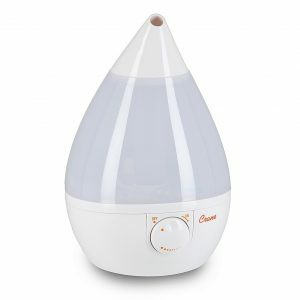 We have and love the Crane Ultrasonic Cool Mist Drop Shape Humidifier! 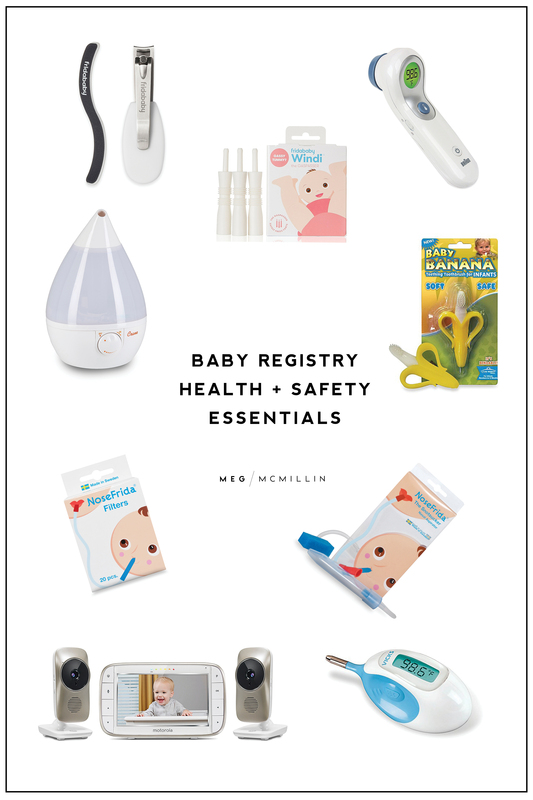 Heads up, until your babe is 18 months old, you have to take their temperature rectally to get a good read! It’s easy though, don’t panic. 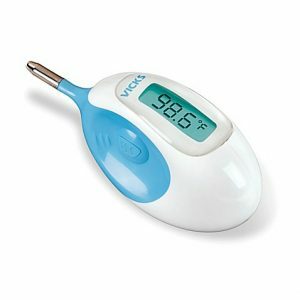 We had the Vicks Rectal Thermometer and I would disinfect it with a little rubbing alcohol, then put a little coconut oil on the tip. 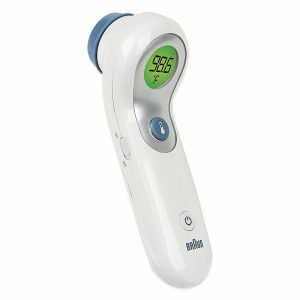 Now that he’s older we use the Braun® No Touch Digital Forehead Thermometer which I’m glad I registered for instead of having to buy it later! 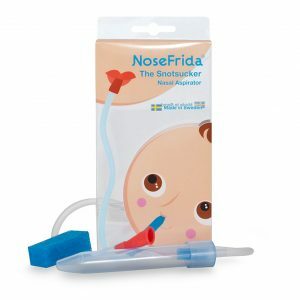 The Nosefrida Nasal Aspirator is a must! Sounds gross, but it’s your baby and I promise you won’t be grossed out. Also, EVERYTHING by the Frida brand is fantastic and trustworthy! Also, don’t forget to register for filters too. 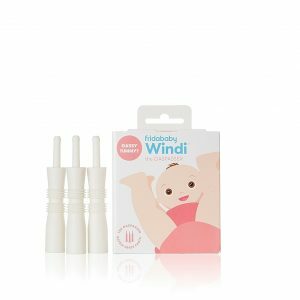 Frida makes this fabulous little device called The Windi. Register for a pack of them in case, like James, your baby has gas + digestion issues! Again, Frida for the win! 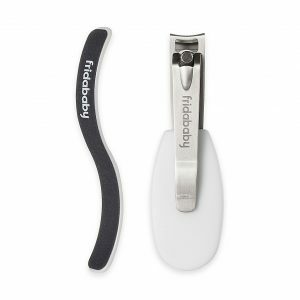 The NailFrida clipper set is easy to use. 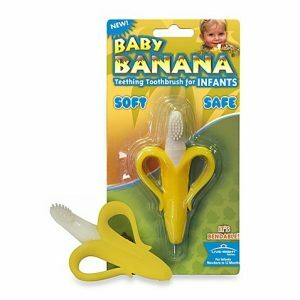 James LOVED his Baby Banana® Bendable Teething Toothbrush. It was a lifesaver during teething periods, and it also helped introduce the concept of brushing his teeth! 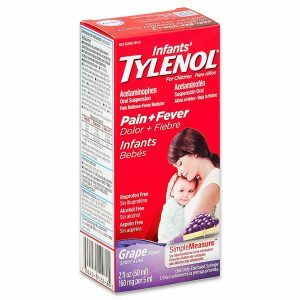 Do yourself a favor and register for Infant Tylenol so that when you actually need it, you have it already! 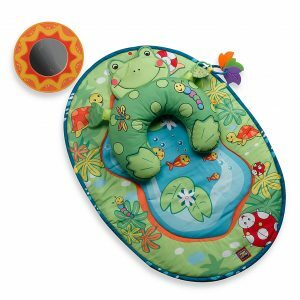 I did not register for the Tummy-Time Frog Pillow & Mat but thank goodness someone gifted it to me anyway! James loved this thing. 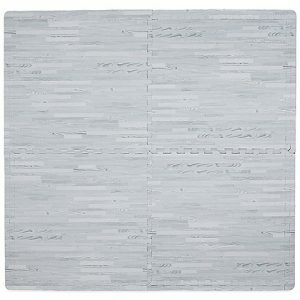 Also, we would use the pillow part on the countertop for his head while we would undress + dress him for his sink baths. 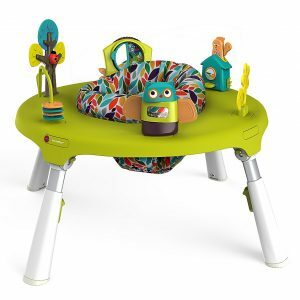 James LIVED in this Oribel PortaPlay™ Forest Friends 4-in-1 Foldable Activity Center from the moment he could hold his head about on his own until he could walk. 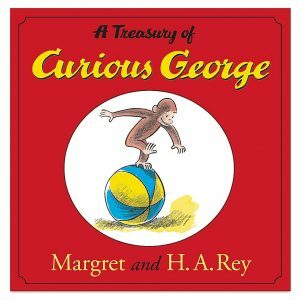 I highly recommend this specific one for a few reasons: it is very entertaining but NOT overstimulating (a lot of exersaucers are like acid trips for babies), it doesn’t make annoying sounds, it is easy on the eyes and doesn’t take up a ton of space, and it turns in to a toddler table! We just got ours back out and will be using it for James outside this summer on the deck. Like exersaucers, there are a ton of overstimulating activity gyms out there! 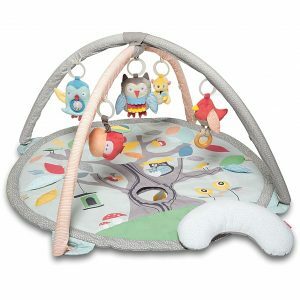 Just go with something simple like the Skip Hop® Treetop Friends Activity Gym. Register for one of these! I didn’t and wish I did. 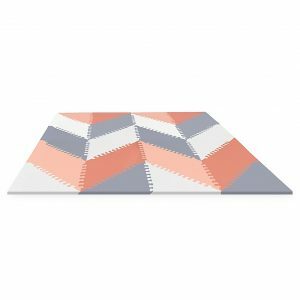 There are SO many cute play mats out there, find one that goes with your home! And I am not against splurging on this, especially if your play area is in your living room. I was so against getting James anything too “baby-ish” or colorful. I wanted my life to stay neutral. But, someone got him Freddie the Firefly and he loved it so much! 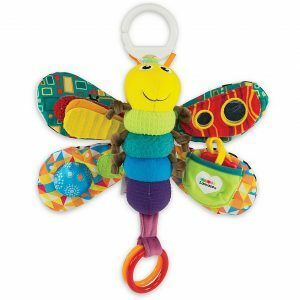 It’s perfect to hook on the stroller or car seat! 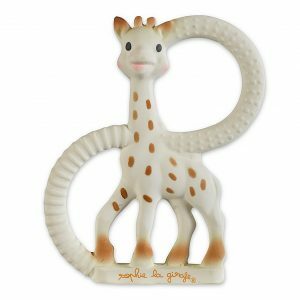 We had both big Sophie and the Little Sophie Teether, and both are wonderful. While James loved big Sophie, he was OBSESSED with mini Sophie. 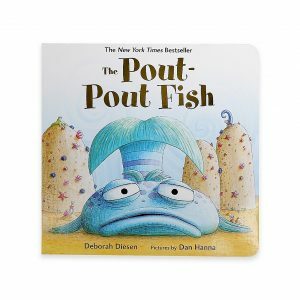 It has little nodules that must feel really good on teething gums or something, because she never left his mouth! Okay, black and white books are where it’s at for little babies. They are like visual crack. This is something else I didn’t register for but was given, and I highly recommend getting one! Heads up, babies love to chew on wood. They are like little beavers. They also love to chew on cloth! 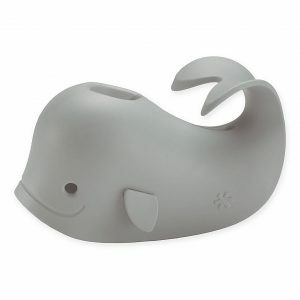 So, these Finn & Emma Teethers are the best of both worlds. This is how James learned to sit! And he sat very early. 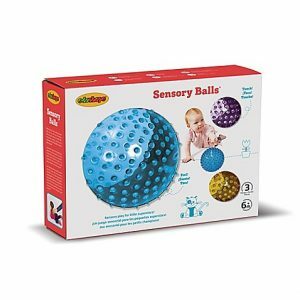 He loved his sensory ball, and we would prob him up leaning forward on it and I swear it helped develop his core.